Did you know that everyone has a ‘best friend on the other side’ within themselves — you could call them your Dr Feelgood! This person has the extraordinary power to make you feel good, strong, relaxed and positive, and to keep you in this positive frame of mind. During my studies of neurolinguistic programming (NLP) in three different countries I have been intrigued by the way our minds create our thoughts, our beliefs, and our responses to all kinds of situations in daily life. I am even more amazed at how effectively the mind can control sensations in the body, even our perceptions of pain. If we can get in touch with this part of ourselves, we can let go of unwanted fears and thoughts, and create a positive and expansive self ready to achieve the best possible birth. Since 2005 have I worked with hundreds of mums who have used NLP successfully. Let’s look into this method more closely and find out how you can create a positive picture in your mind to help you move more easily through labour. Close your eyes and imagine yourself in your kitchen; look around and enjoy being in your kitchen. On the table there is a chopping board, and on it there is a beautiful lemon. It’s a vivid yellow. 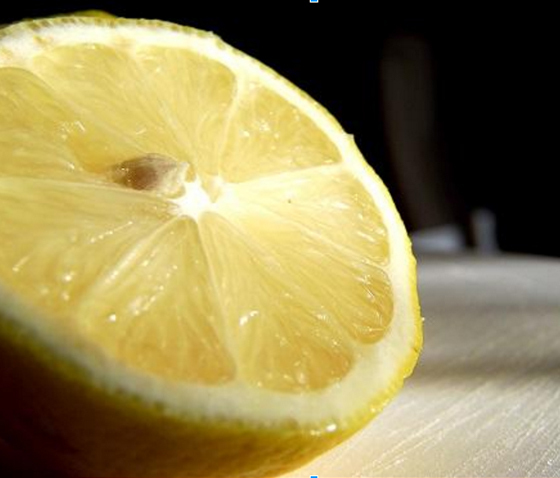 Pick the lemon up, feel its weight, the texture of its skin, and notice its fresh smell. There’s a knife next to the chopping board. Cut the lemon in half and see the juice running across the board. Smell the fresh smell. Now quickly pick up a piece, bring it up to your nose, and then take a bite out of it — what a sensation in your mouth! Taste the sharpness of the juice on your tongue. Now open your eyes: there was no kitchen, no lemon, and yet you experienced all the sensations as if you had really cut into and eaten a lemon. You must want to achieve it. You must know how to achieve it. You must allow yourself to achieve it. Let’s do this redecorating through a birth-oriented exercise that’s fun and works very well. 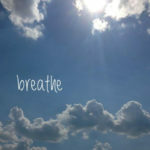 Think of any anxieties you might have about childbirth, for example: I won’t be able to get the birth I want; I don’t know if I will have the strength to go through labour; I might tear; all my friends had an epidural or a C-section. Focus on the image of that anxiety in your mind: is it a colour image or black and white? Are you visualising it in front of you, or to the right or the left? Is it a large image or a small image? A light image or a dark image? Is it a still photo or a moving image? If you’re seeing a moving image, stop it and make it a still. If you’re seeing this image in glorious Technicolour, let it fade to sepia. Let a black and white image become all blurry and lacking in contrast. If there is sound, turn it down so you can’t hear it any more. Shrink the image so that it is so tiny you can tuck it under one fingernail, or move it so far away you can’t make out what’s in it anyway. This technique works so well it could change your life forever. Let go of bad feelings and change your reactions or behaviours with this exercise, which you can do as often as you want. The sooner you begin to anchor good feelings, the sooner it will become an automatic approach to life, so let’s start right now. Think of a reaction or behaviour you would like to change. Close your eyes and observe from your perspective what actually happens; try to identify the starting point of the reaction. Put a frame around this image and make it really vivid. Now observe yourself as if from the outside, displaying the desired reaction or behaviour. Notice how you act, hear what you say, and see what you see. Make sure this new reaction feels better to you than how you would have reacted previously. Shrink this perfect image into a small dark square and move to where you saw the first image. Now have the first image darken and shrink while you let the second picture become bigger and brighter until it completely obliterates the first picture. Imagine – or even make — a whooshing sound as this happens. Repeat this exercise three to five times, and then go back to the starting point of your original reaction. For most people it is very difficult to recapture the original feeling, as by now the new reaction seems to have supplanted it. If you’d like to move on to a more extended exercise, click here to listen to the instructions. Remember to make yourself comfortable, relax completely, and close your eyes as you start. Give this mind over matter approach a go: it has been around for a long time and is a fundamental part of releasing fears and traumas of all kinds.